I have a general passion for avian behavioural ecology and am particularly interested in how and why birds (especially female birds!) use song and vocalisations. I completed a Bachelor of Science at Macquarie University (2012) and went on to do an honours year at Deakin University (2013). My honours research focused on the nocturnal behaviour and habitat use of waterfowl and the implications for conservation (Austin et al. 2016). 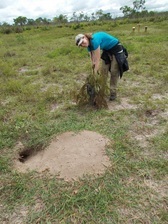 After honours I went to remote Paraguay and completed a research internship (2013-2014) at Reserva Natural Laguna Blanca, under supervision of Para La Tierra. Here I studied the burrowing owl (Athene cunicularia), comparing nest site characteristics and behaviour of owls between pristine Cerrado and cleared farm land. During the course of my research, I noticed behavioural interactions between burrowing owls and the Cerrado endemic curl-crested jay (Cyanocorax cristatellus) and investigated these further using playback experiments (Austin et al. 2016). When I completed my internship I received a scholarship from Macquarie University and began a Masters of Research (2015). My research was based at Fowlers Gap Arid Zone Research Station in Central Australia where I studied the behavioural ecology of the chirruping wedgebill (Psophodes cristatus), an arid zone endemic species of passerine known for its highly conspicuous singing behaviours (Austin et al. 2019). 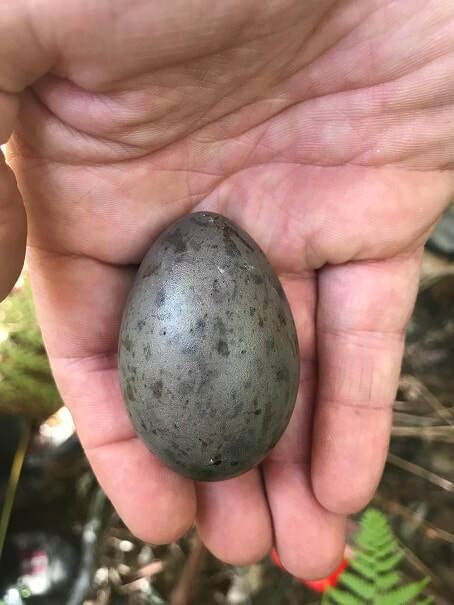 My field work involved a mixture of observations and playback experiments to determine the function of song and duets during the breeding season. 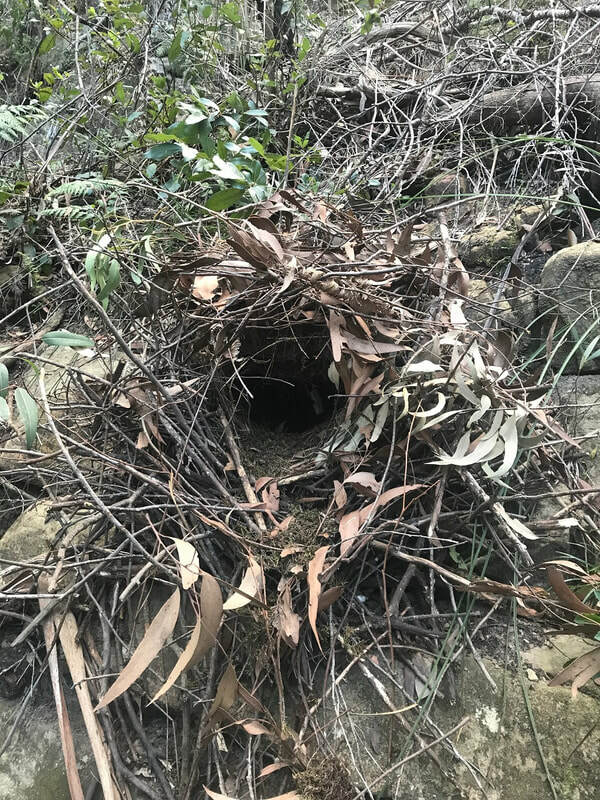 It was here that my interest in bird song further developed, leading me to my current PhD project on the structure and function of mimetic song in female superb lyrebirds. Female song is ancestral and phylogenetically widespread in oscine passerines (Odom et al. 2014), but we have a relatively limited understanding of its function and how it differs from song produced by males (Hall et al. 2015; Langmore 1998; Riebel et al. 2005). Following the recent discovery that female song was already present in the ancestors of oscine passerines (Odom et al. 2014), there has been a surge in research in this field (Hall & Langmore, 2016 [i]) However, this research has focused on species-specific songs despite evidence that up to 40% of oscine passerines imitate other sound sources in their environment (Dalziell et al. 2015). At present, little is known about female song in basal oscine passerines (Odom et al. 2014), but research on such early diverging species is vital for our understanding of the evolution of both female and male vocalizations in song birds (Dalziell & Welbergen 2016; Odom et al. 2014). 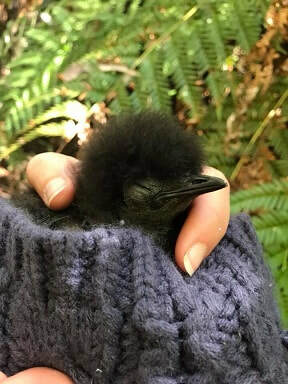 ​Superb lyrebirds (Menura novaehollandiae) are a basal oscine passerine with an exceptionally slow life history. 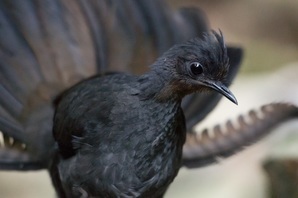 Male superb lyrebirds are well known for their spectacular mimetic abilities (http://www.hbw.com), however the displays of females have largely been ignored and their vocalisations interpreted as by-products of sexual selection (http://www.hbw.com). Recently, however, female superb lyrebirds have been shown to have both complex and diverse vocalisations that are used in female-specific behaviours such as nest defence (Dalziell & Welbergen 2016). Females also appear to consistently mimic sounds different to those mimicked by males, but there is considerable variation among females in their propensity to mimic (Dalziell & Welbergen 2016). These exciting but preliminary observations raise many questions about the evolution and function of mimetic vocalisations in female superb lyrebirds specifically, and the evolution of complex vocalisations in oscines passerines more generally. That female superb lyrebirds, like males, are capable of learning complex sounds in their environment raises the question of what accounts for sexual differences in vocalisations in this species. Dalziell and Welbergen (2016) suggest that sexual difference may be determined more by what is learned than the ability to learn (Riebel 2003), but this has yet to be formally quantified. Indeed, the mechanisms of learning complex mimetic song in female lyrebirds have never been investigated. Additionally, it is not yet known why females do not share the same mimetic repertoire as males, or why there is more variation in mimetic vocalizations among females than among males (Dalziell & Welbergen 2016).The different structures of mimetic vocalisations between males and females of this species also indicate different selective pressures for complex vocalisations (Dalziell & Welbergen 2016; Price 2015). However, the functions of female and male lyrebird vocalizations are not presently understood. The study of female song function in a basal oscine passerine will provide important information about the evolution of complex learned vocalisations in general. Thus, the presence of female-specific song and behaviours in this species provides a valuable opportunity to address current gaps in research. Identify female specific vocalisations and their structure and functions. Determine the causes of sexual differences in complex vocalisations in this species. Examine and explain variations in complex mimetic vocalisations among females. Investigate learning processes in females by examining the relationship between female age and mimetic repertoire. Austin, V., Ribot, R. & Bennett, A. (2016) If waterbirds are nocturnal are we conserving the right habitats? Emu - Austral Ornithology. 116(4), 423-427. Austin, V., Savary, J. & Smith, P. (2016) Burrowing Owls Athene cunicularia (Strigidae) respond with increased vigilance to calls of the Curl-crested Jay Cyanocorax cristatellus (Corvidae) in the Paraguayan Cerrado. The Brazilian Journal of Ornithology. 24(1), 1-8.